PARTY HIGHLIGHTS to look out for…. 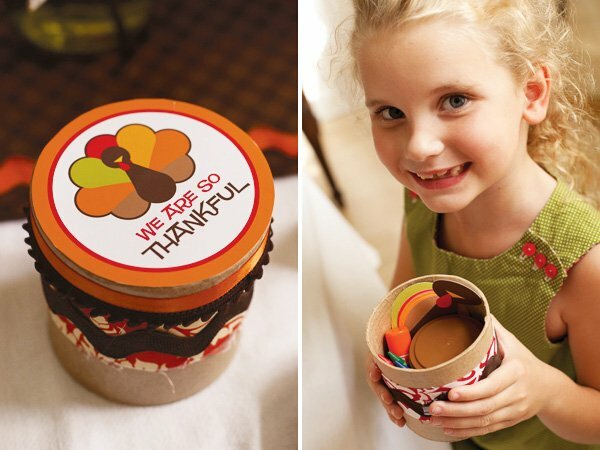 – “Give Thanks” pie bar with pint-sized pumpkin pies for the kids! 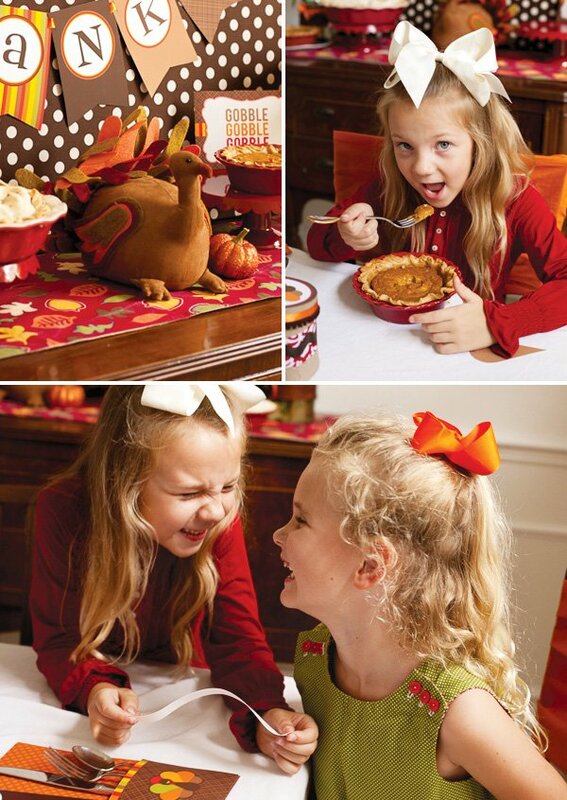 Around November, visions of turkey, pumpkin pie and andoille sausage stuffing start dancing through my head. The whole month, we start look forward to the time spent around the dinner table with those we love. And nothing says love in my family like good food – unless it’s a beautifully set table. In years past, I’ve made a “kids’ table” for the children to sit at apart from the adults; banishing the kids to their own space works out well when there’s a big crowd gathering to eat. This year for a million reasons, it will be just my nuclear family for dinner. I imagine that we aren’t the only ones not seating for twenty, so I created some inspiration for those wanting a kid-friendly table that appeals to adults as well. 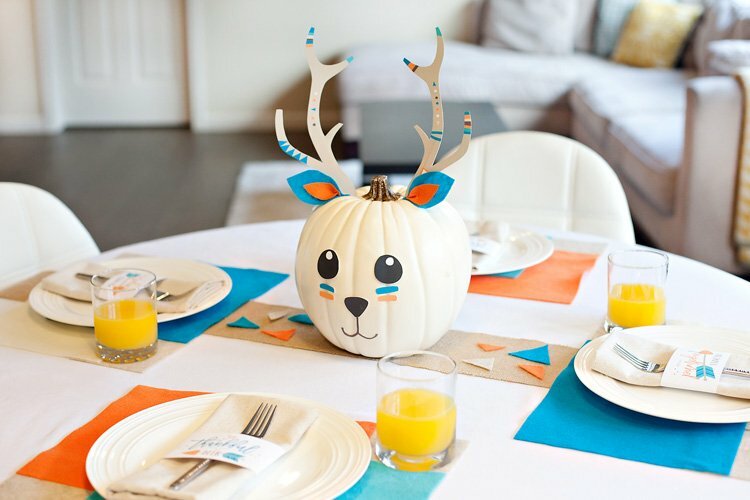 Don’t worry about elegance when setting a table for kids. If you have them and have eaten with them, you already know it doesn’t work. 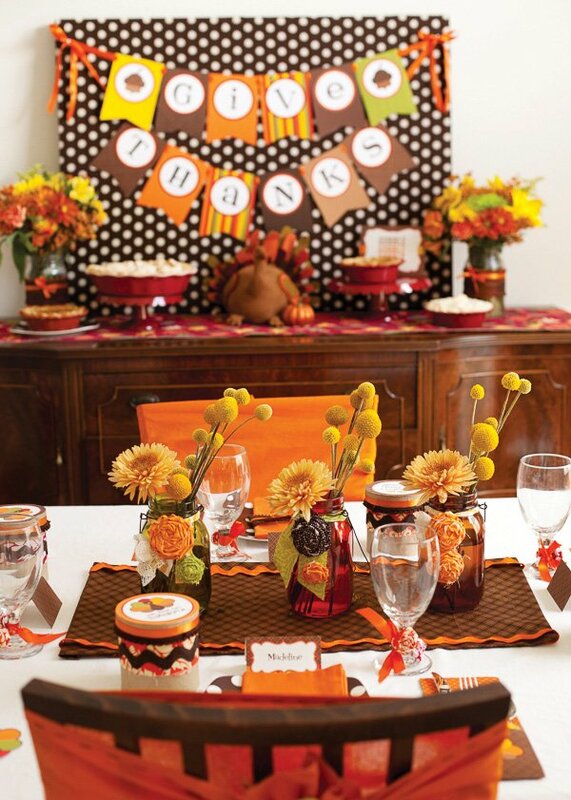 We went with bright and bold colors layered with lots of texture to make a table that feels warm and inviting. Colored mason jars with trendy billy buttons and a runner made from a length of fabric were the center of attention (and easy!). 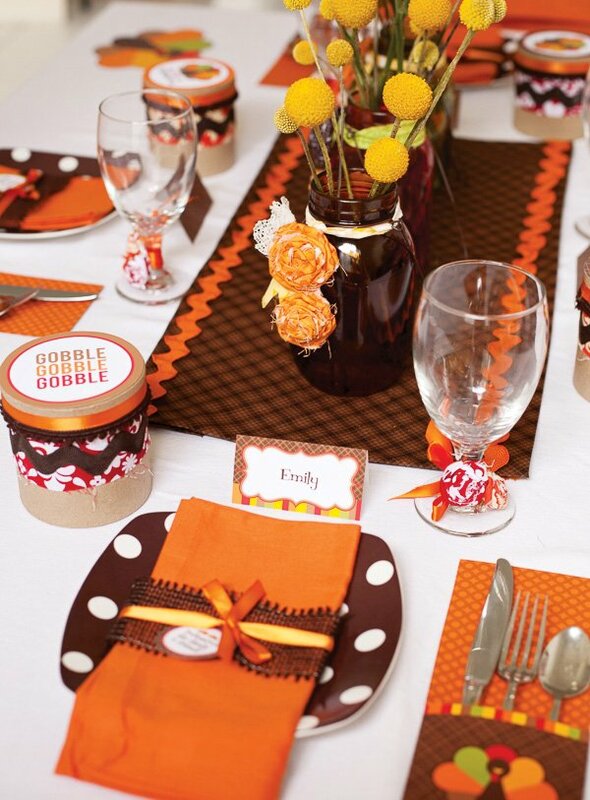 Each place at the table was set with a fun plate topped with an orange napkin. 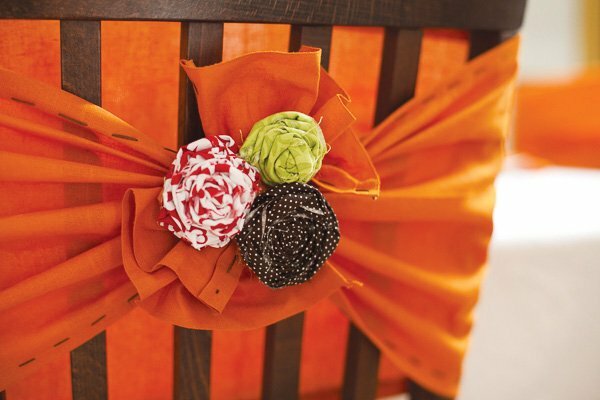 The napkin was wrapped in burlap ribbon for texture and a thin orange satin ribbon for contrast. 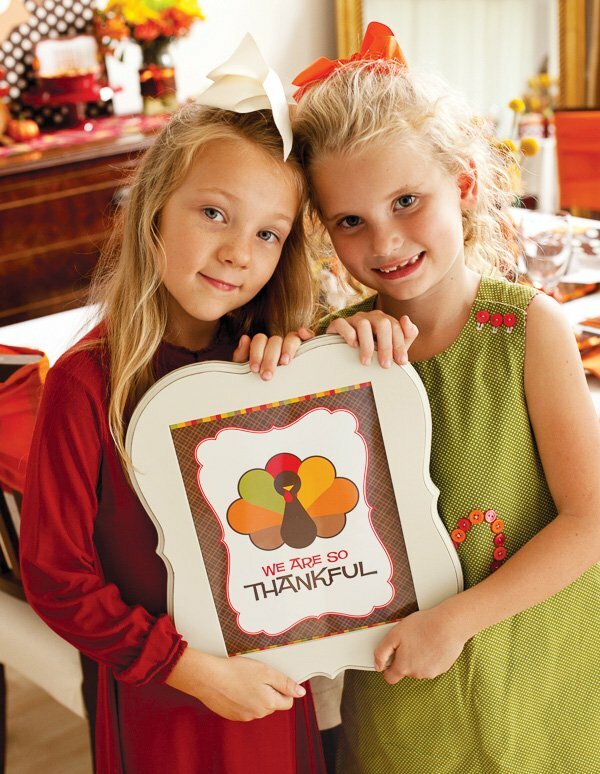 Our “We are so thankful” printables were a great accent. Silverware in turkey branded holders were a fun and colorful addition. Finishing the place settings were the busy boxes for the kids to play with and place cards. The place cards are a must have for kid tables – they love seeing their names and it an easy thing to do to make them feel extra special. Occupied kids are happy kids. 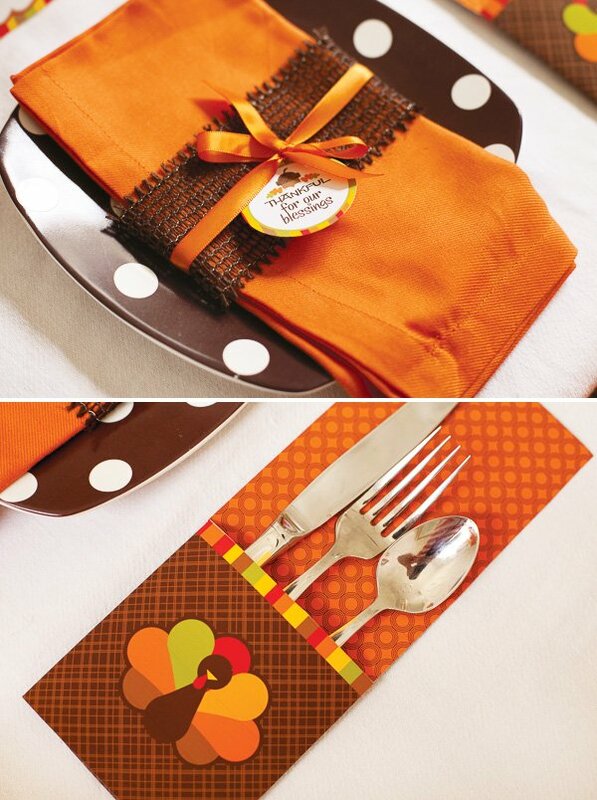 Once dinner is done, let them reach for a “busy box” at their place setting. 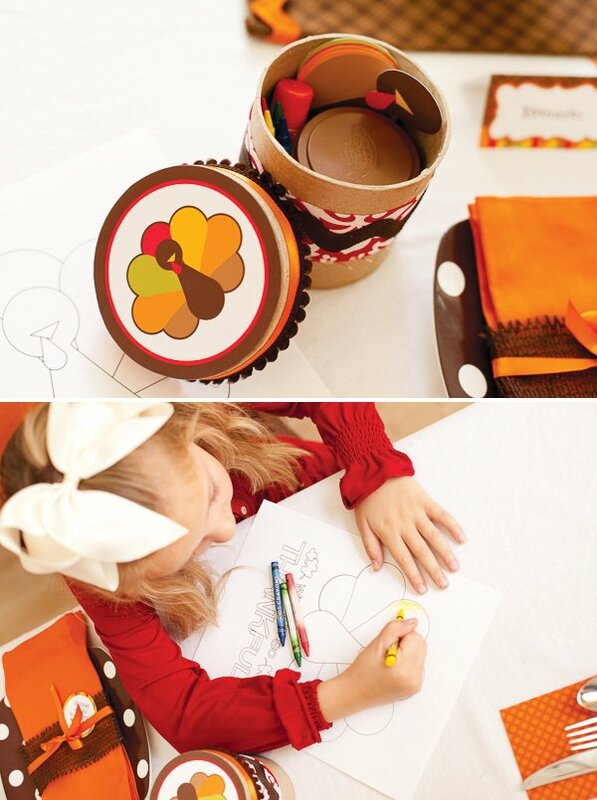 We filled ours with crayons, playdough, and a Thanksgiving thankful turkey craft. It’s just enough to give them something to do while finishing dinner as a family. Something new we tried this year (since my oldest can now read) were conversation starters. There were giggles all around at the table, so we’ve declared them a hit! Pie is the star of the show on Thanksgiving! All the other fussy desserts are not needed on turkey day, so the hostess can breathe a sigh of relief that setting up an attractive table is a snap! A few nice florals and some cake stands to rest your pies on are all you need. Don’t forget pint-sized pies for the kids. They’ll love you for it. 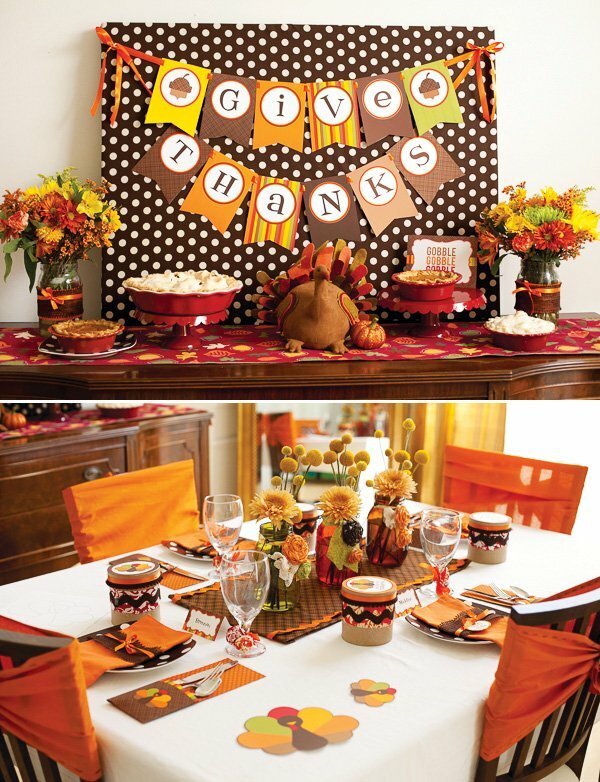 We know we thought this party was great….but Paula was also thankful to be featured in the Winter 2012 edition of Festivities Magazine with this kid-friendly dinner party! Absolutely charming! 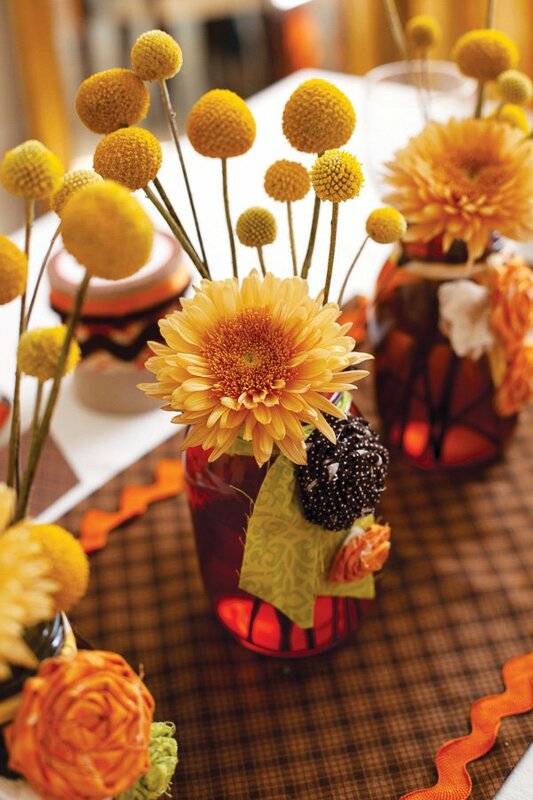 Those mason jar centerpieces are so beautiful, and look so manageable! Wow! Love all the ideas! Beautiful layout and the two most beautiful little girls I've ever seen! 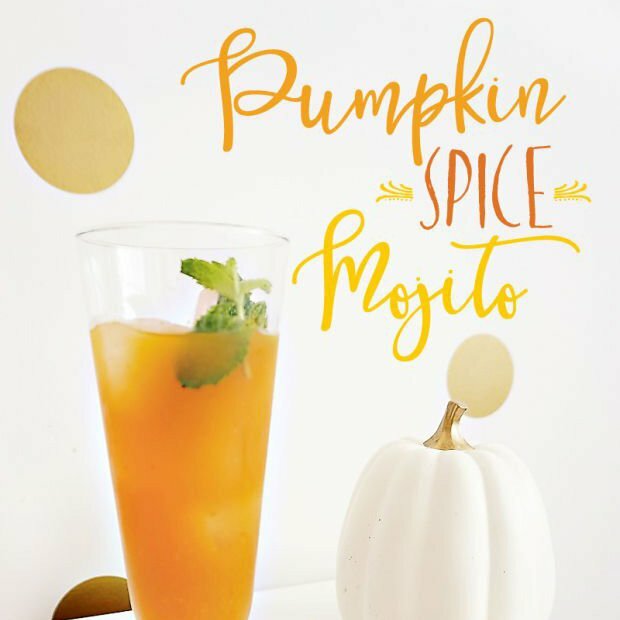 Any tips on how to make the mason jar centerpieces? They are just beautiful! They were actually quite easy to make. Hobby Lobby had the colored mason jars…I just tied strips of fabric around them and tacked fabric roses to the strips. Dropped in some billy buttons and a large mum and it was done! 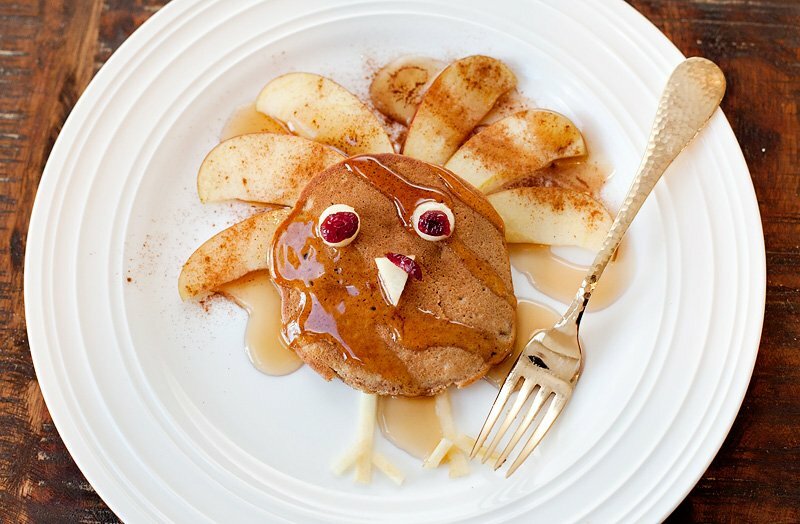 Terrific pictures and ideas for Thanksgiving.